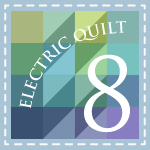 If you had not heard, The Electric Quilt Company is celebrating their 25th Anniversary this year. They are having contests and giveaways all year long. 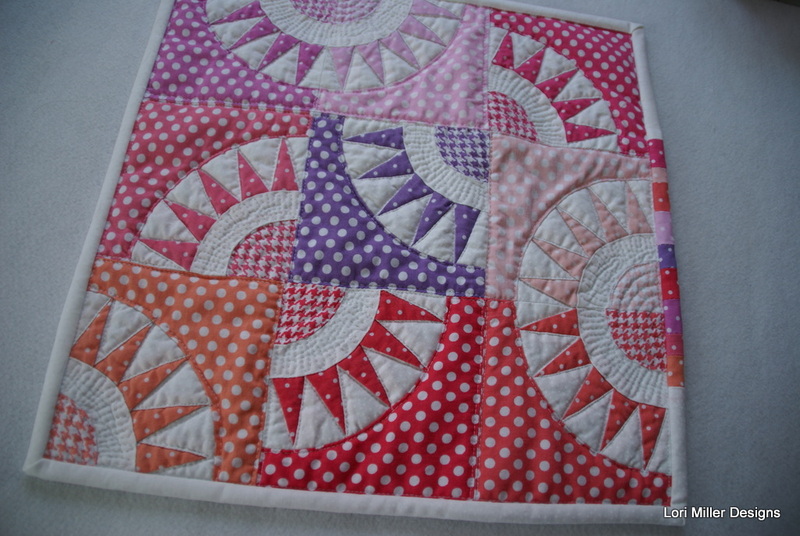 For January, they issued a challenge to create a mini quilt with Michael Miller Fabrics. 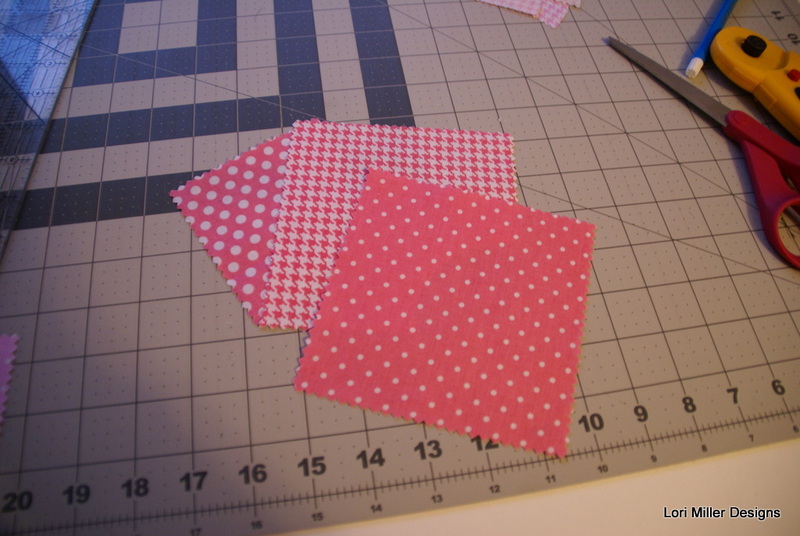 I happened to have a Charm pack of 5″ squares of Michael Miller Modern Basics. 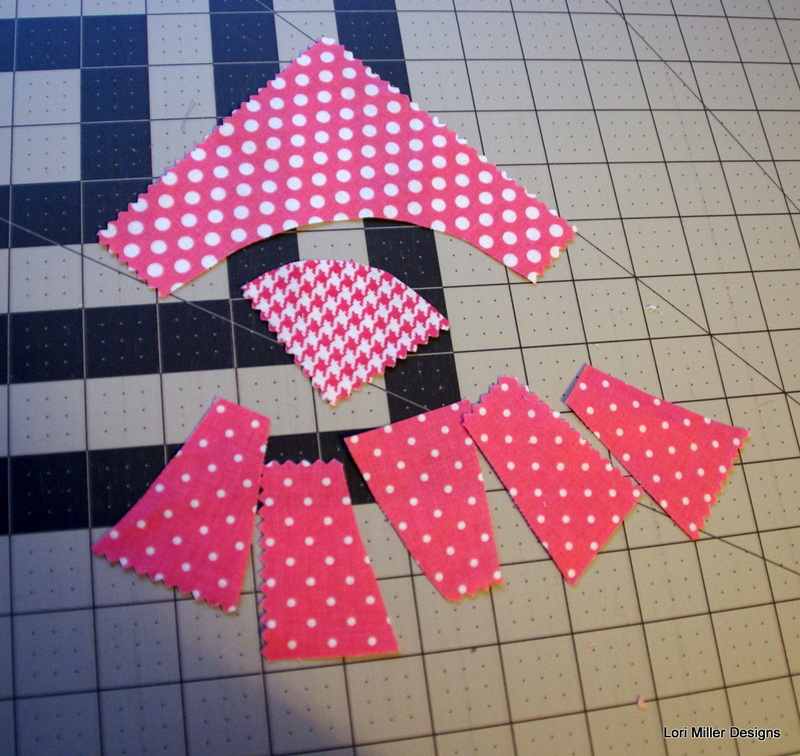 I grabbed some white polkadot fabric at my local quilt shop and started planning. I decided I wanted to try a New York Beauty block because I had never made one of those and this fun little quilt is the result. I started this adventure by going to my Electric Quilt 7 software and searching for New York Beauty quilt block. I found a fancier block which I edited to simplify it a bit. Then I sized the block down to a 4 1/2″ finished block so I could use my 5″ square charm pack. 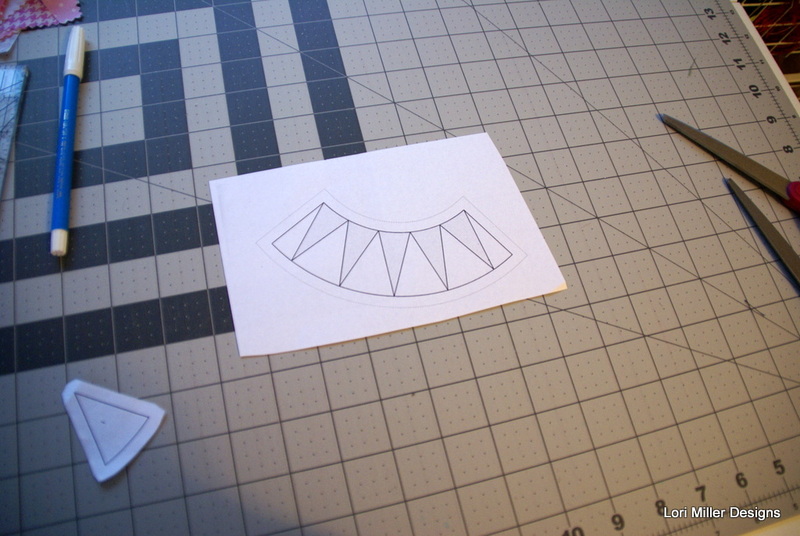 My EQ7 software made it so easy to size it perfectly and I could print out template pieces and the paper piecing foundation pattern as well. Here are 3 charms I started with. 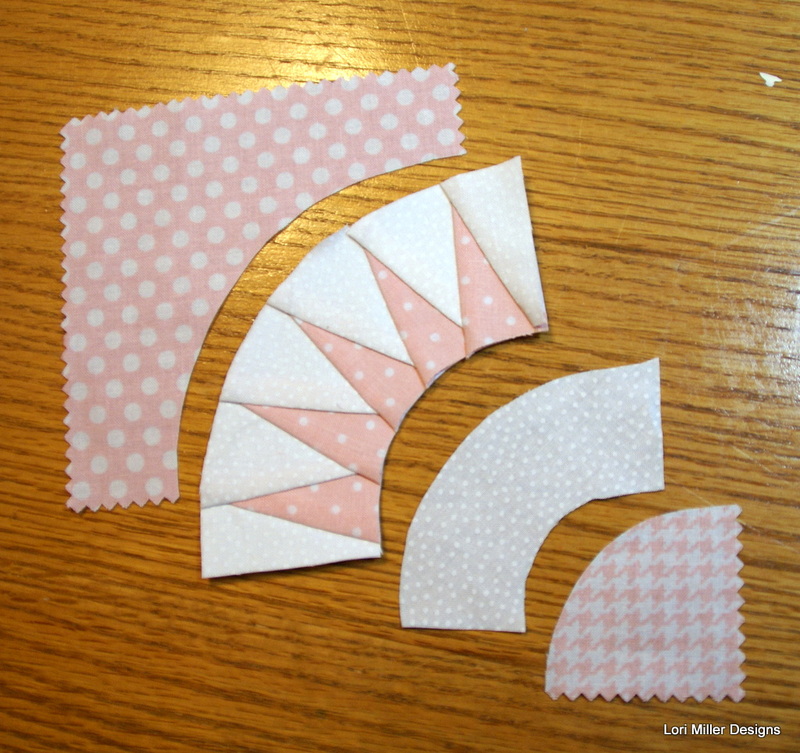 I used the templates to cut out the pieces and as a guide to overcut the paper pieced components. 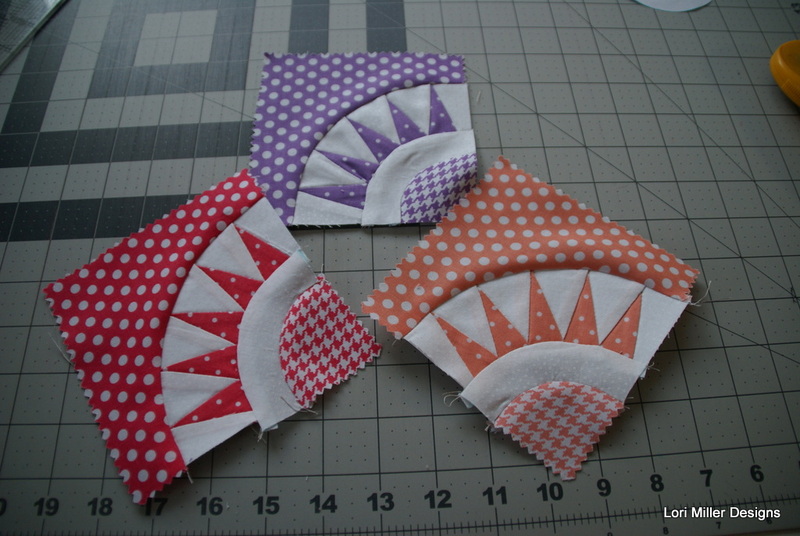 Here are all the pieces after I have finished the paperpieced center and getting ready to tackle those little curves. I just pinned the middle and sewed out from the center a few stitches at a time. I stopped to adjust about every 3 – 4 stitches. Here is the little block all together before I trimmed. I made a total of nine blocks. They were really pretty fun and one you got going they went pretty fast. I really like this pattern. 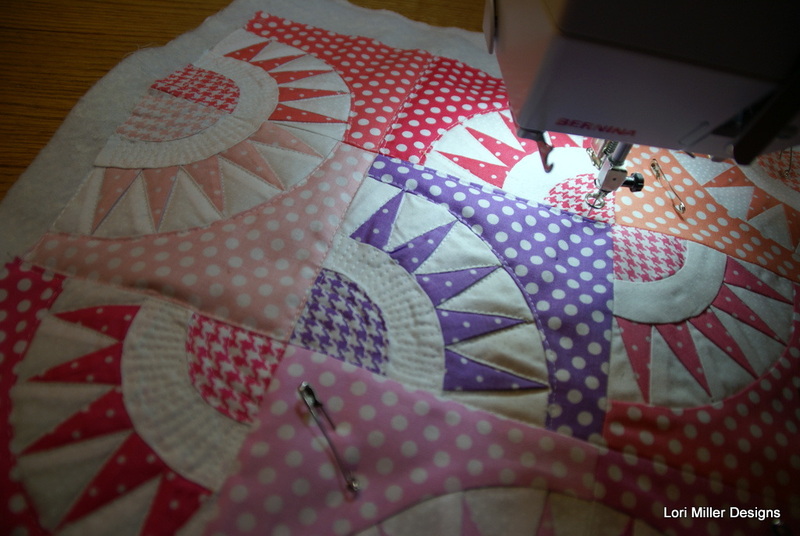 Last step, I used free motion quilting to add some contrast to the squares. 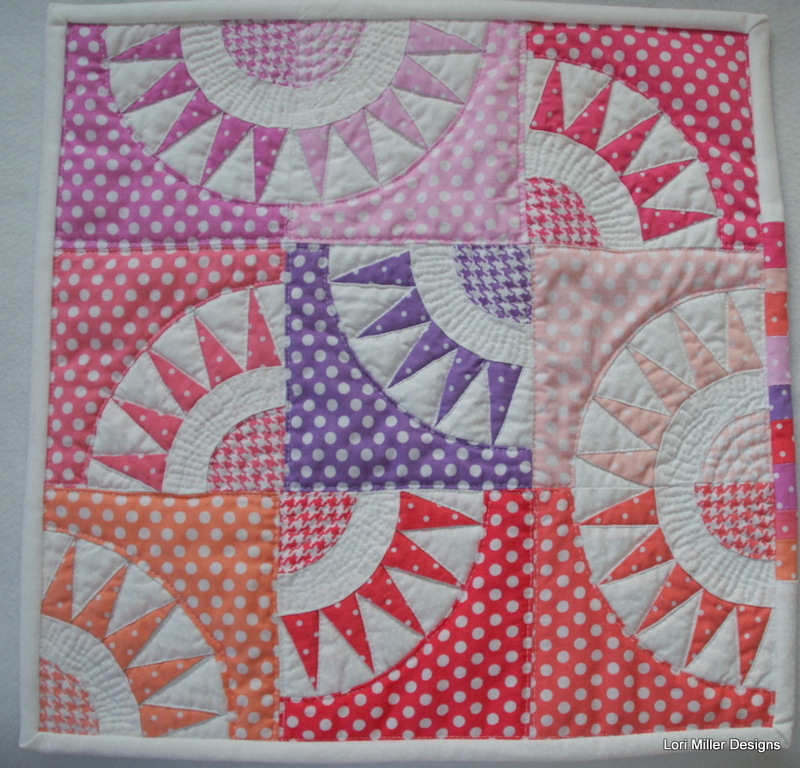 I just love the little zig zag in the center white curved piece. 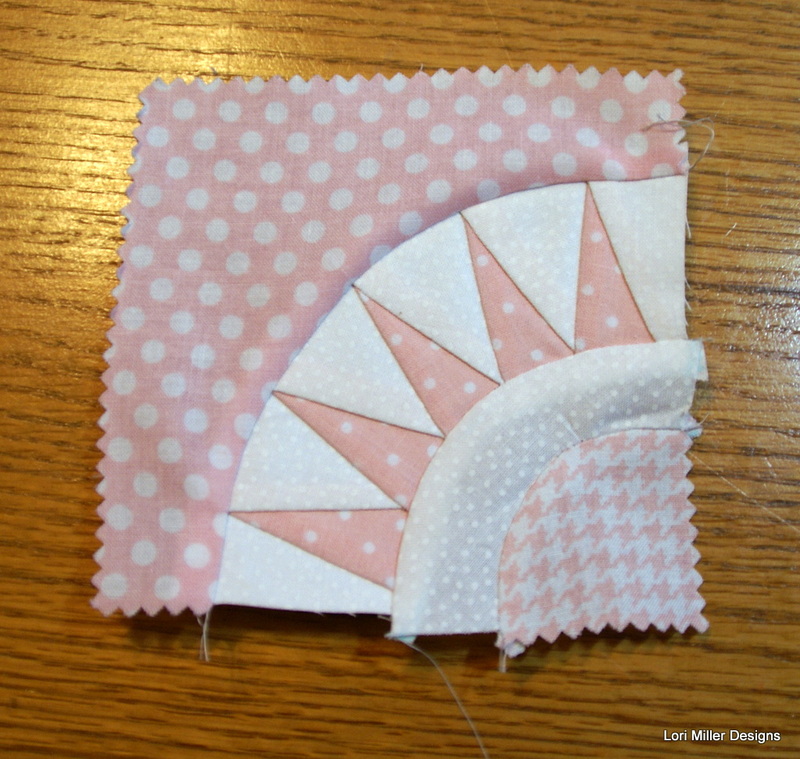 My little cutie did not win any prizes, but I did learn alot about editing a quilt block in Electric Quilt 7 and how to sew curved seams. I think that is the best happy circumstance from participating in a quilt challenge, you get to learn something new!